Interesting fact: The Highland Village of Ullapool was established in 1788 by the British Fishing Society as a purpose-built fishing village and records show that there were just seven private houses there in 1791. These seven homes were the inspiration behind the name of a new and very exciting Scottish Gin that is about to be launched from Ullapool. Why is it exciting? This gin has been five years in the planning and after eighteen months of development and testing a staggering ninety-six recipes, Helen Chalmers and Robert Hicks and the team at the Highland Liquor Company have finally started to release their creation to the world. The result is Seven Crofts, the latest Scottish Gin to hit the market and if the bottle is anything to go by, it’s going to be truly stunning. The bottle and label design have been created by the talented D8 in Glasgow and the bottle shape is reflective of the traditional genever bottles of old. The team set out to create something beautiful, timeless and functional and the bottle design is already being received warmly by the bar trade. Provenance and collaboration is key to the Highland Liquor Co, they are home to the most northwesterly distillery in the UK, with an ambition to move into whisky production in the future. Initially, Robert took part in a distilling course run by Strathearn Distillery in October 2017 but was joined in early 2018 by Ben Thompson, Master in Brewing & Distilling alumni from Heriot-Watt, when he moved to Ullapool and came on board as head distiller. But what about the taste? We’ve yet to try the new gin (and we can’t wait to!) but the road to the final recipe has been a wholly collaborative one. The Highland Liquor Co. initially launched the ‘Experimental Series’ and used the results of the tasting of these gins to craft the final flavour profile of Seven Crofts. 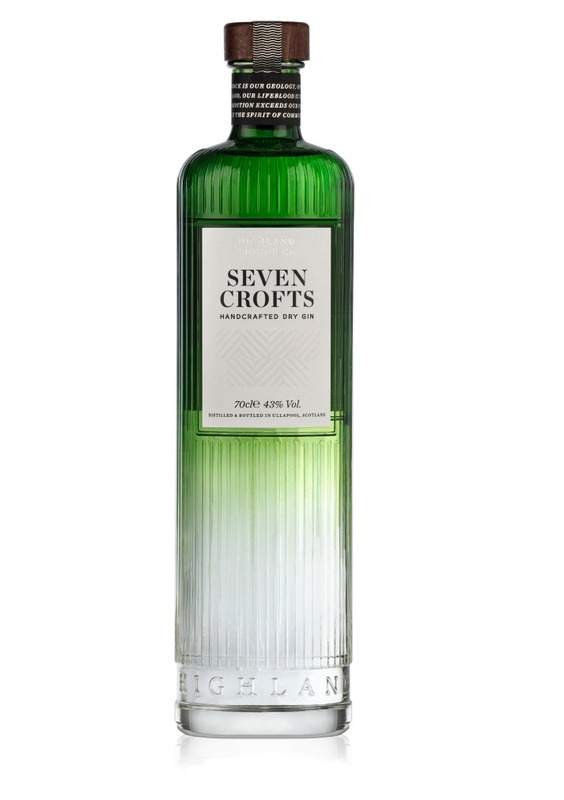 Seven Crofts is made of a lucky seven key botanicals. While the team were keen to use locally grown botanicals, getting the exact flavour they were after meant opting for more exotic ones, such as pink peppercorn and fresh lemon peel. With no history of (legal) distilling taking place in this remote corner of the North West Highlands, Helen and Robert have set about creating a small distillery where the gin is produced in the twin copper stills of Little Ella and Little Ruthie. We know the team at Highland Liquor Co can’t wait to share Seven Crofts with the world and we will certainly bring you a review as soon as we try it!. In the meantime, if you want to pre-order a bottle of batch one, you can do it here . Seven Crofts will also be available for purchase from selected outlets across Scotland from Easter. Ayrshire Gin and Chocolate shop receives top award. New Scottish Raspberry Gin available from Caorunn. Protected: The first spirit in 217 years distilled on Tiree.